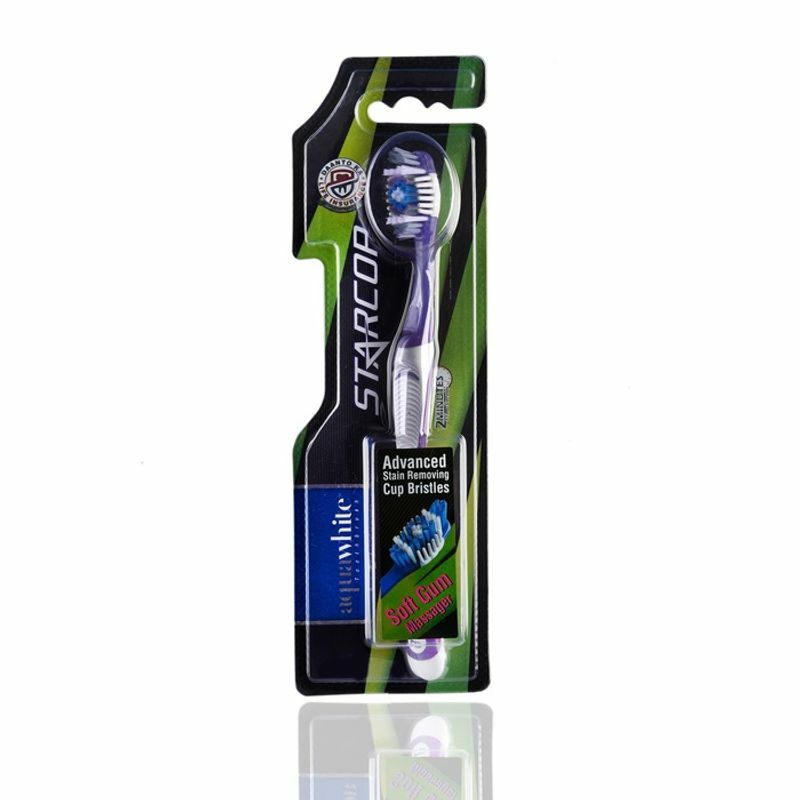 The Aquawhite Star Cop toothbrush offers complete oral care hygiene. Your family can now brush without the stress as the advanced stain removing cup bristles ensure whiter and brighter teeth and the soft rubber bristles on the sides stimulate the gums while brushing. The variation in the height of the bristles ensures an effective cleaning as it helps reach every minute corners of your mouth. This is why Aquawhite is the most trusted oral care brand amongst dentists.